HONG KONG (Reuters) - A 59.60-carat pink diamond sold for a record $71.2 million in Hong Kong on Tuesday to local jewelers Chow Tai Fook after a five-minute bidding war between three phone bidders. The "Pink Star", the largest Internally Flawless Fancy Vivid Pink diamond ever graded by the Gemological Institute of America according to Sotheby's, set "a new record for any diamond or jewel at auction", the auction house tweeted. The diamond failed to sell in November 2013. 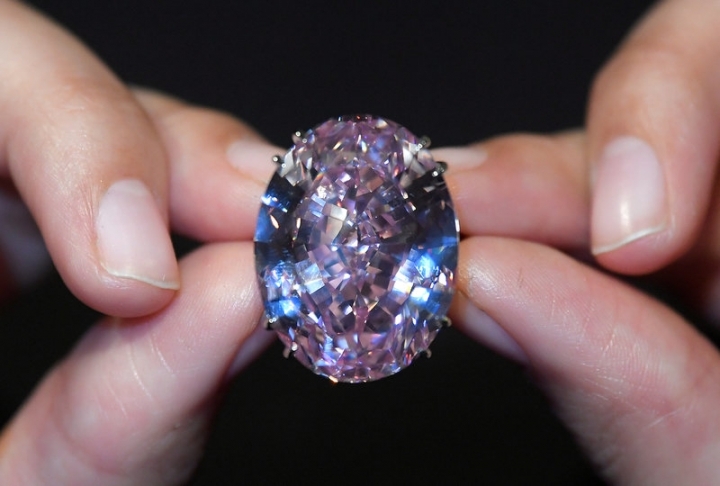 The gem fetched a record $83 million but the buyer could not pay. However, Patti Wong, chairman of Sotheby's Asia, said the Tuesday's three bidders had been vetted for this sale. "All three bidders...have a long standing relationship with the company and we were very, very confident that all three bidders had the financial capability and of course the buyer definitely had the financial capability," she said. "We're not worried at all."